If you did read it you may remember how much I was drooling over the fabulous creations by Nadia Minkoff. I had been following Nadia via Twitter and Instagram, so was pleased when I got to see the brand in the flesh…..
Now when I find a brand I love, I like to share with everyone! Nadia got in touch and asked if I would like to be gifted with something to share with my readers………. When the postman delivered the parcel I was so surprised ! It was the one I was wishing for, all wrapped in it’s own duster bag . The “St. 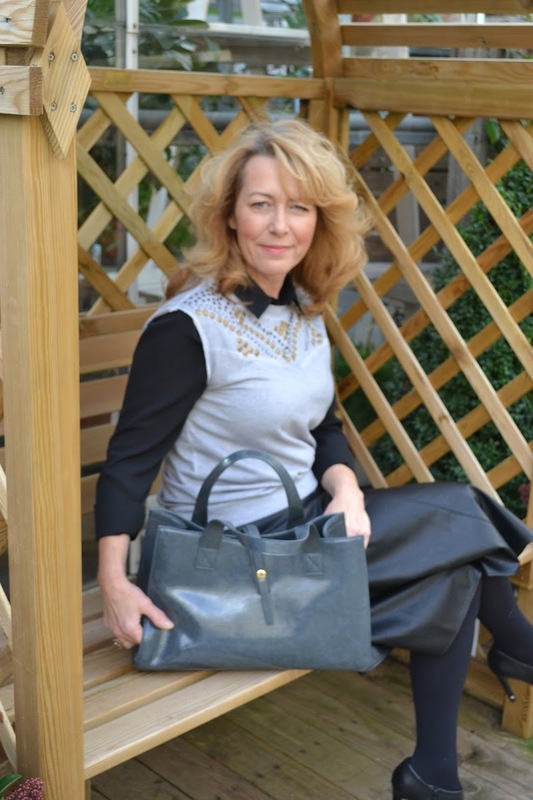 JOHNS WOOD TOTE” which has been the top seller for some time. 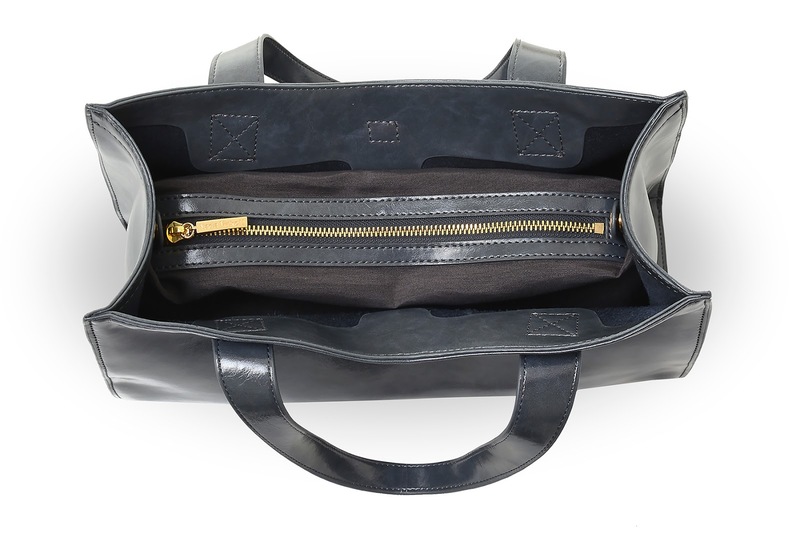 I couldn’t wait to get all my daily needs into this bag and take it for a test drive….. The leather is buttery soft,and you know you are holding a top quality hand bag. I am always one for bargain trends, but I never scrimp on my handbags. I know this is going to be with me day in day out and go through the mill of everyday life…. 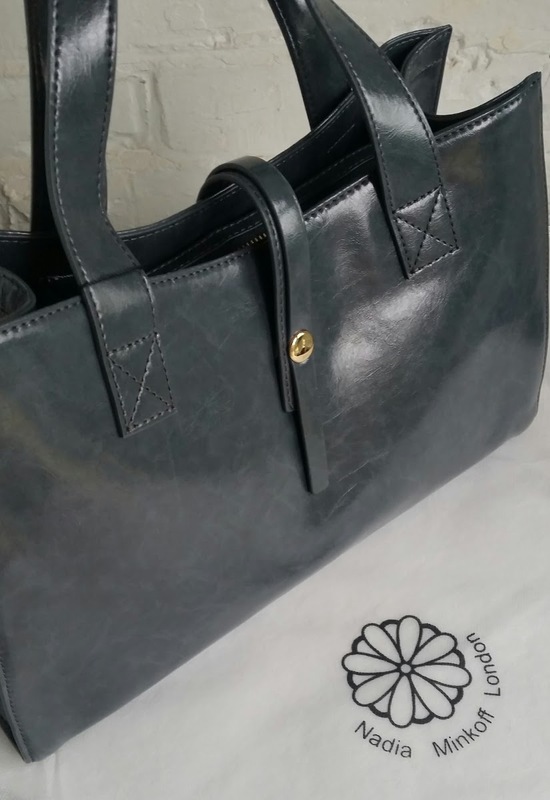 One of the design features of the st. Johns Wood Tote that I think is great, is the length of the handle straps. Not too long that it’s nearly hitting the floor, and not too short to sit on your shoulder. And I love the gold magnetic disc that has the power to hold it all shut.It’s been a little windy here of late! It’s not too early for a bit of Christmas sparkle right !!! I absolutely love this bag! I already have an evening clutch on my Christmas wish list. Please take time to have a browse at the Nadia Minkoff website, it’s not just bags, there are beautiful jewels too! Love the skirt. great look! What a beautiful bag Laurie! 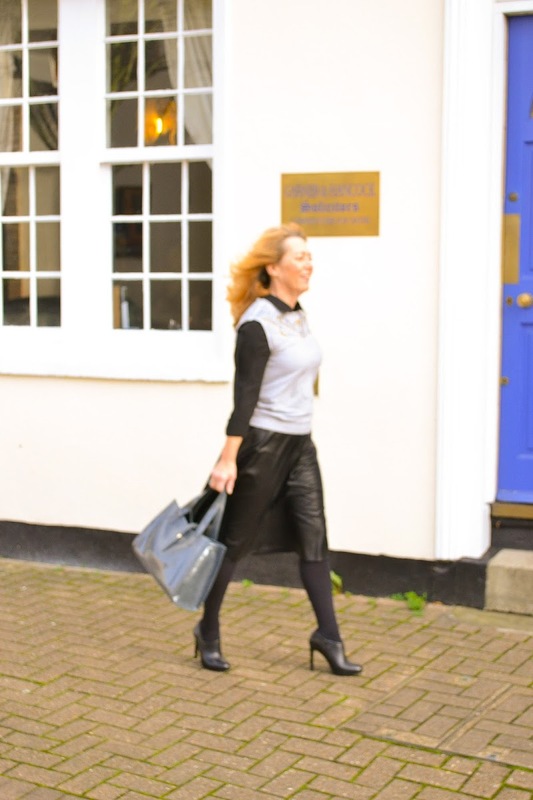 Thank you for stopping by and linking this post to the Kremb de la Kremb Style Stories Link Up. Oh my goodness that bag is beautiful you lucky thing! Fabulous colour, as you say makes a change from black or brown. Did you say that skirt was from Primark????? Wow, you'd never have guessed and you look amazing young lady. This bag is so pretty, love the color. Thank you for making me aware of this designer! The bag is lovely and the color so unique! Love how you've styled it with your look! Thank you for your lovely comment Mary. I'm pleased I have helped you find this brand.